This is the first, in what I hope to be many of Lenore Skomal's books i will read. Having had this book in my library for a few weeks now, I just didn't think an amazing book lay between the unassuming cover and (at the time) nondescript title. I started reading this book late at night and was spellbound within the first few paragraphs. The book tells the story of Jude, a sufferer of depression, and raised by an alcoholic mother. Jude is a loner, and very misunderstood. The story also develops into many other characters, each woven intricately into the life of Jude in strange and sometimes surprising ways. The title is so fitting, but only seems to makes sense once all the characters develop and show their true colors, much like in real life. When meeting new people showing our first impressions we all bluff our way into the fantasy we want others to believe our life is like. This book touched me deeply as some of the things Jude and her mother went through felt like a word for word discussion I would have with my own mother about abandonment, being the unloved wayward child, and about always not being good enough, no matter how hard you tried. I read through these pages and I was amazed at the ability Lenore has to magically construct the thoughts and feelings into sentences I read in her book as if it was spoken by my own heart. It came as no big surprise to me when I read Lenore has won many awards and has many accomplishments. What is amazing to me is how, after more than 25 years of reading thousands of books in many genres this was the first time I came across one of her books. She is such an amazing author. Like I said, thought provoking and deeply moving, a definite must read. 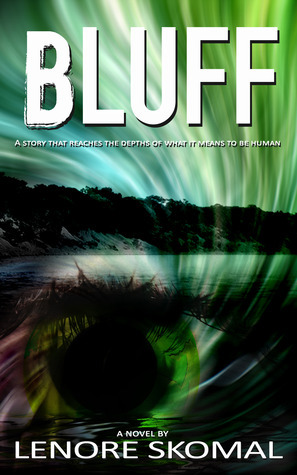 Sign into Goodreads to see if any of your friends have read Bluff.